A characteristic of Haplogroup N haplotypes is the b2/b3 deletion in the AZFc region of the human Y-chromosome. However, this deletion appears to have occurred independently on four different occasions. Thus this deletion should not be considered a unique event polymorphism that contributes to the definition of this branch of the Y-chromosome tree. In N3 the designation M46/Tat means that these two SNPs are identical but were discovered separately. The listing is alphabetical, not necessarily in the order of discovery. Y-DNA haplogroup N is found throughout Northern Eurasia. Possible points of origin include Northern China and Mongolia, from which the population spread both toward the Baltic region and into Siberia. The dominant N3 branch is found widely distributed in Siberia and in northern Europe. At its western extent, the greatest concentration is found among Finns, Latvians and Lithuanians. The N2 branch, whose geography is largely contained within the larger N3 range, shows two clusters, one in the Ural-Volga area and the other further east. The less common N1 lineage shows a scattered distribution in Asia, with small concentrations in areas of Kazakhstan, Korea and China. The undifferentiated N* population is widely distributed at low levels of occurrence with a weak concentration in Cambodia and southern China. Haplogroup N has also been found at very low concentration in eastern Europe and in Anatolia. Rootsi et al., A counter-clockwise northern route of the Y-chromosome haplogroup N from Southeast Asia towards Europe. European Journal of Human Genetics. 15: 204-211,01 Feb 2007. Changed email address for content person on 8 June 2007. 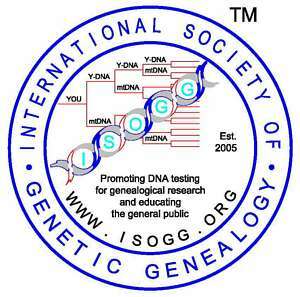 Updated Haplogroup N description and added Rootsi et al (2007) on 8 June 2007. Added second note to Notes on 17 October 2007.